AKIPRESS.COM - The skeleton of a man who appeared to be fleeing the devastating eruption of Mt. Vesuvius has been discovered in new excavation work in the ancient Roman city of Pompeii, officials said Tuesday. 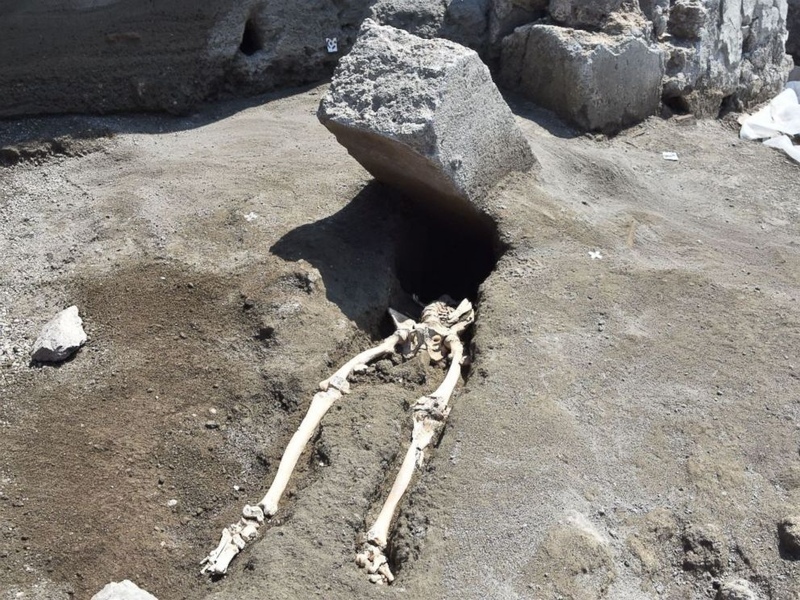 Archaeologists at the Italian Ministry for Arts and Culture believe the latest victim found from the 79 A.D. volcanic eruption of Mt. Vesuvius, near modern Naples in Italy, was more than 30 years old and died amid dramatic circumstances, ABC News reported. The ancient city, and its surrounding area, was buried in up to 20 feet of rock and ash after the massive eruption and the site was lost for about 1,500 years. Excavations later revealed an extraordinarily detailed image of what life was like at that time.